Finding a home for your car is always tricky in The Big Easy, but parking can be an even greater headache when the Super Bowl comes to town. 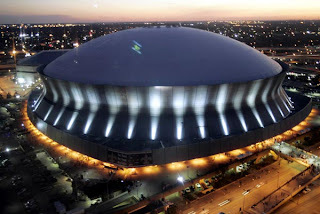 Fortunately, New Orleans has been around this block before: The Big Game in 2013 will be the city's 10th as a host city. The biggest piece of advice the locals and big-game veterans can offer: Plan ahead on parking so you can focus on the festivities. If you plan to attend the game or any of the festivities during the week leading up to the big game, your best bet is to reserve a Super Bowl parking spot in advance at one of the city's commercial parking lots. Our parking reservation page shows you what is available, allowing you to compare prices and locations and reserve a space using a credit card. No game-day surprises! Headed to the NFL Experience or Super Bowl Boulevard? Do yourself a favor and start with our NFL Experience and Super Bowl Boulevard parking guide. You'll find a map showing the locations for key Super Bowl events, some highlights of two of the most popular attractions and an opportunity to safely book a parking spot in advance at a convenient parking garage or surface lot. Lucky enough to stay downtown for the Super Bowl XLVII festivities? Chances are you'll opt to arrange your parking with the hotel. Make sure to verify prices and availability in advance. Many hotels have changed their parking protocols for the big game festivities. Prefer to soak up the excitement and roll the dice on street parking? Make sure to check the signs around your metered space for rates, time limitations and special restrictions relating to the Super Bowl (More than 3,000 spaces will not allow parking during Super Bowl activities). Pay particular attention so your car doesn't get towed. Most meters cost $1.50 per hour with a two-hour limit. Avoid getting your car towed and facing steep fines by violating street-parking rules. Among the most important to remember: Park within 18 inches of the curb, avoid fire lanes and driveways, move your car on rush hour (7-9 a.m., 4-6 p.m.) on major streets, and make sure not to leave your car in a street space for more than 24 consecutive hours. Get the picture? It's probably wise to bite the bullet and reserve a space. The New Orleans Regional Transportation Authority plans to operate extra buses and streetcars for the week prior to the Super Bowl to accommodate added demand. RTA also will offer extra park-and-ride options and a $3 per day unlimited rate from Feb. 1 through Super Bowl Sunday, Feb. 3. The RTA website is here. This page will be updated as the game nears. (Last update Jan. 30, 2013) Bookmark us and check back again soon! Contact: indytimes@gmail.com.